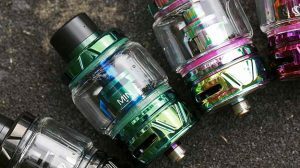 The Nimbus RDA Clone has been one hell of a rebuildable dripping atomizer to start learning with. Though it has its flaws, this RDA can be made into a satisfying setup. However, it’ll take some modifications, which you may find to be too much of a hassle. 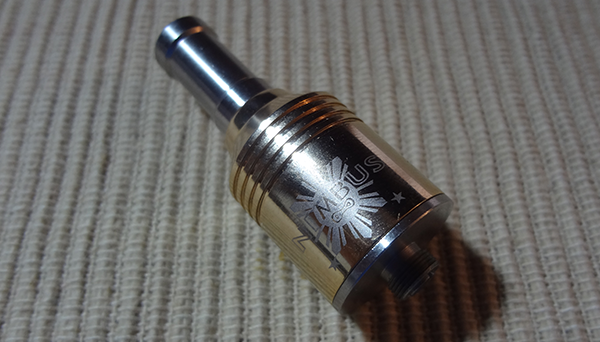 The Nimbus looks stunning with its gold-plated metal body. From the curvature at its 510 accepting inlet, to its more toned down lines surrounding the top portion, the Nimbus definitely has the good looks. There’s nothing to be ecstatic about, but the Nimbus definitely offers a unique and appealing appearance. Located below the etched lines is a printed logo, and on the opposite end is a very small 1mm air hole. 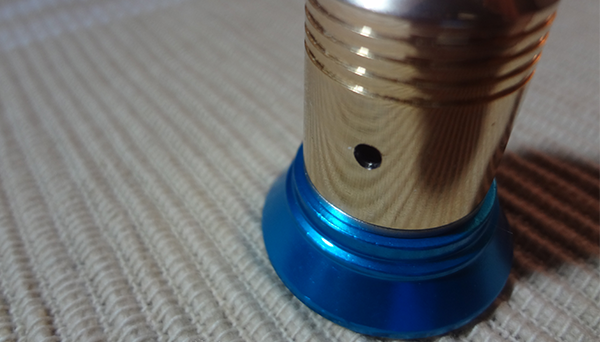 Underneath the gold-plated body sits the atomizer base. There is a small drip well and a 3 post setup. 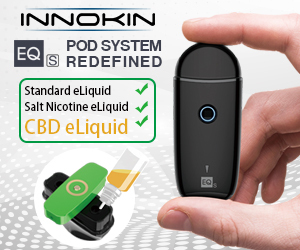 Other than the 3 post setup and 2 O’rings to keep vapor and e-liquid inside the chamber, this rebuildable dripping atomizer doesn’t have many features. Though I like its small size, I also dislike it for rebuilding as there just isn’t enough room for play compared to other RDA’s on the market. The Nimbus has a performance flaw due to its 1 and only available air hole. 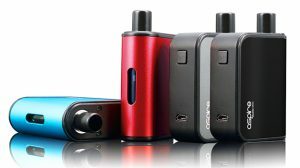 The fact is that the Nimbus just doesn’t allow enough airflow that is needed for a satisfying vape. 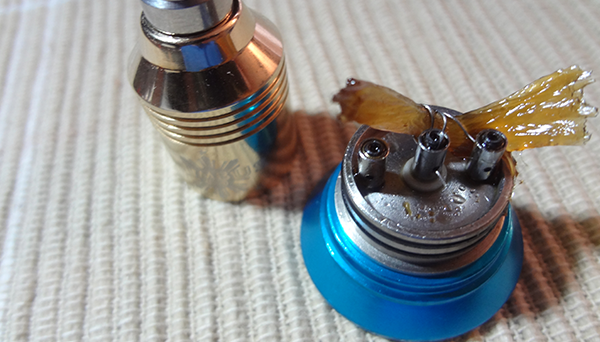 However, if you’re willing to modify the air hole a bit by making it larger, this RDA can deliver decent performance. You can see in the picture below that I drilled out the air hole to allow a better airflow. By doing this, by experience was a bit more enjoyable. My next gripe about the Nimbus is that its 3 post design isn’t large enough for its body, nor is the body itself large enough for different coil configurations. The holes in the posts where you wire goes also poses a problem as it’s not big enough to accept various types of wire (like flat wire). Continuing, the 3 posts also uses a hex screw, instead of a regular phillips head screw. 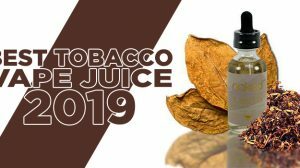 Overall, the Nimbus has many flaws in design that I’m not comfortable with, but if you’re able to look past those few flaws and modify the air hole a bit, you can achieve quite a satisfying vape. This leads to me wonder though, is the trouble worth it? 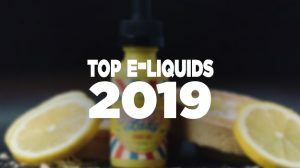 – Should I look past those flaws when I can find another RDA at the same price without the flaws? 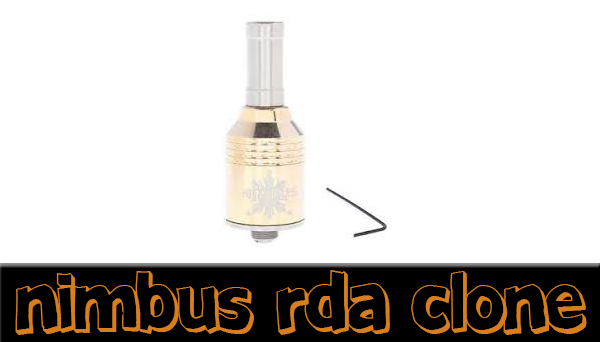 – For me, the Nimbus was a nice starter RDA. It helped me get into the swing of things and learn what I needed about them… but that’s about as far as it goes for me personally.